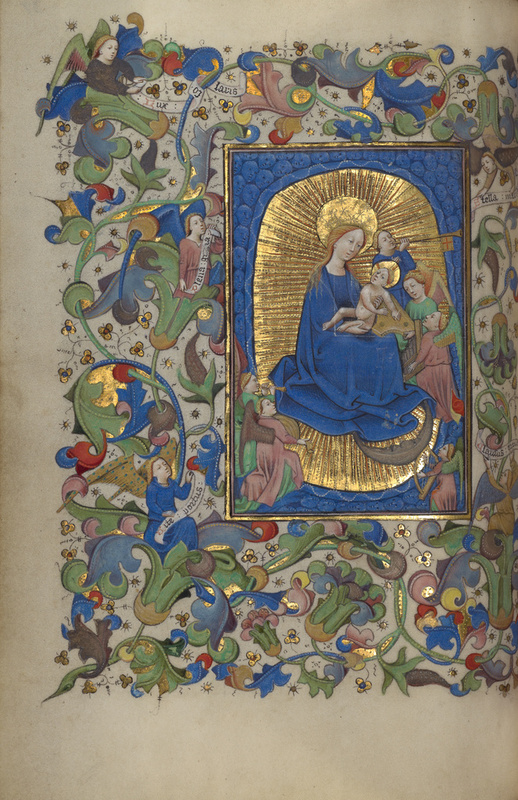 The Hours of the Virgin, the core service in the book of hours, opens with a devotional image of Mary that draws together the many varied aspects for which she is celebrated. Seated on the ground with the Christ Child, she represents the Madonna of Humility. 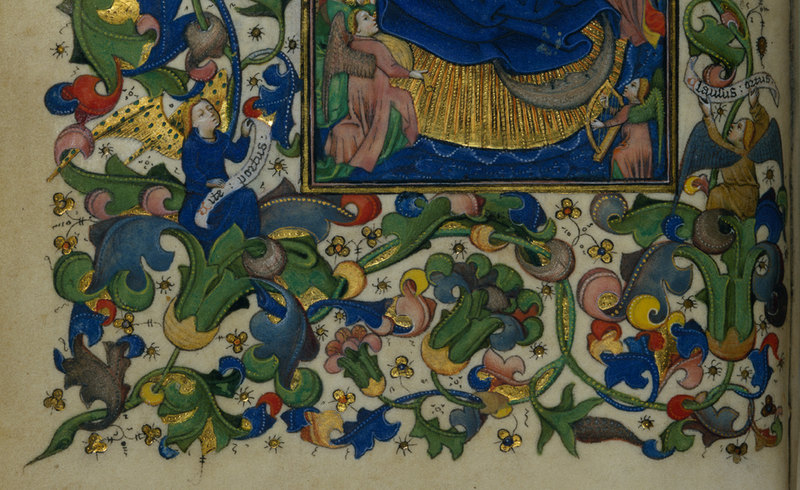 The large gold mandorla and the blue cherubim that surround her display her as Queen of Heaven. She is also depicted as the description of the enigmatic Woman of the Apocalypse: "Robed with the sun, beneath her feet the moon, and on her head a crown of twelve stars." Interestingly, the Christ Child and angels play musical instruments, recalling the melodious chanting of psalms in the Hours of the Virgin and the inaudible music believed in the Middle Ages to emanate from the heavenly bodies.